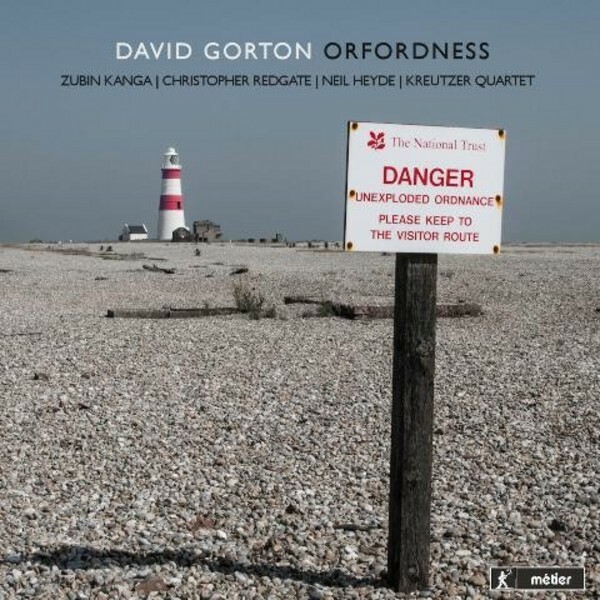 David Gorton is Associate Head of Research at the Royal Academy of Music in London. His music is eclectic and varied and, as here, often written for specific performers. The title work, Orfordness, references the nature reserve and former secret weapons base, the centre of many weird and classified events, such as UFO sightings. Fosdyke Wash is a �bleak and desolate� place in Eastern England, but one which is also productive through agriculture, and the music reflects this dichotomy. The 2nd Cello sonata and �Austerity Measures� (the latter being a live concert recording) are simply staggering in the virtuosity required. The performers are all leaders in their field and new music specialists, all having recorded several albums for Metier, except Zubin Kanga who joins the label. He is an Australian now working in London and making quite a name in the new music arena.